As a new mum I am always looking for quick and easy recipes. My sister told me to try this recipe. I have however added my own spin to it and it’s brilliant! Melt butter in a large pan over medium high heat. Add onions, garlic and seasoning stirring frequently. Add shrimp and cook, stirring occasionally, until pink, a set aside. Turn heat down then add cooking cream and cook. Strain the sauce and add the shrimp/onion mixture into cooked pasta. Put a teaspoon of flour into a little bit of water, mix it and add it to the sauce mixture. Grate some cheese and add that in too. I also added some Parmesan for a more cheesy tasting sauce. Stir it. 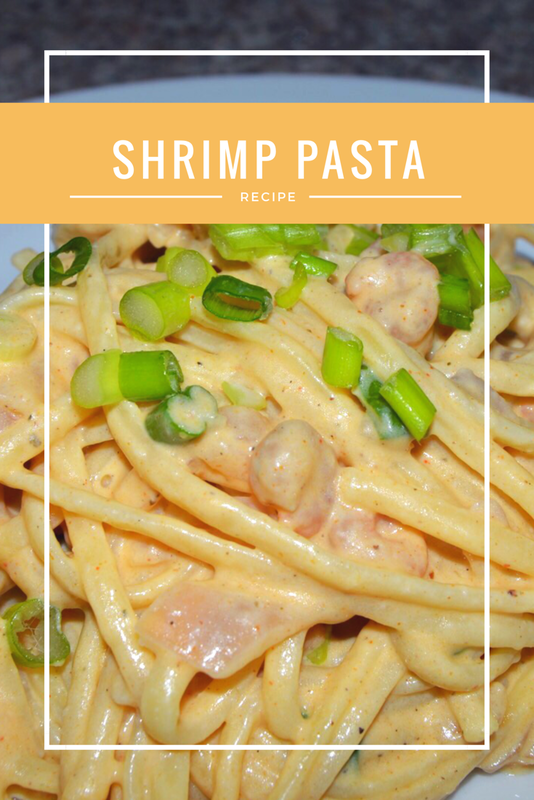 Stir sauce into pasta/shrimp mixture and serve immediately! That’s it. 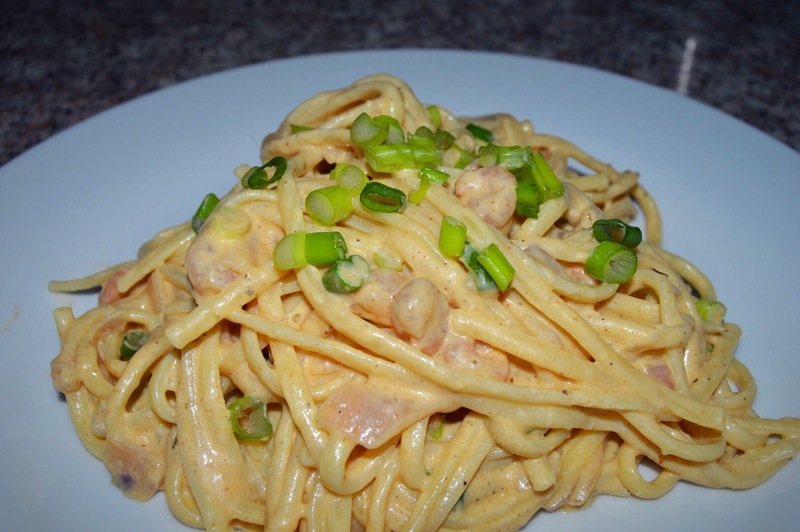 It’s quick, easy and comforting in any kind of weather!